The Golden Circle encompasses some of Iceland’s most popular attractions and some of the country’s greatest natural wonders. Our first stop is the Þingvellir National Park. Named a UNESCO World Heritage site in 2004, Þingvellir – literally “Parliament Plains” – plays an important role in Icelandic history. It was here that the Icelandic Parliament was founded around. 930 A.D. and continued to meet until 1798. In addition to beautiful landscapes, Þingvellir is also the only place where one can see the continental drift between the North American and Eurasian tectonic plates. Þingvellir has also been used as a set for the TV series “Game of Thrones” ! We drive to the cave Laugarvatnshellir, a cave where people lived in until 1920. 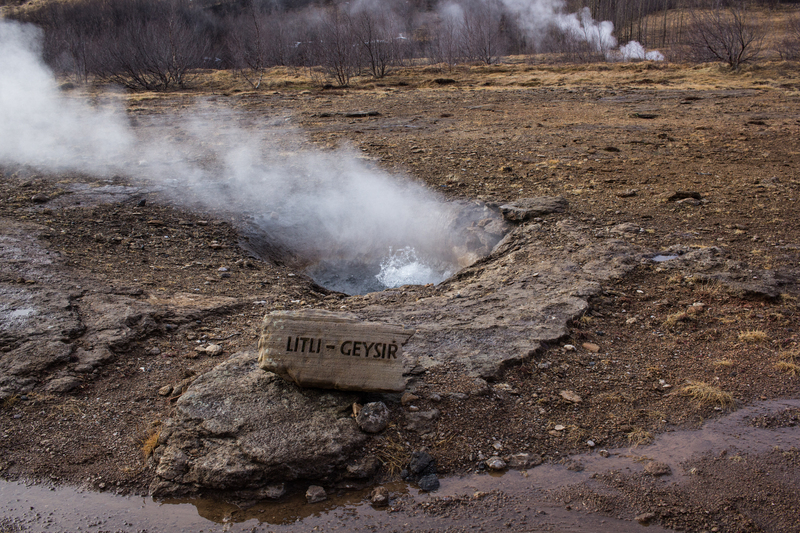 Our next stop is the famous Geysir in the Haukadalur valley on the slopes of Laugarfjall hill, which is also the home to Strokkur geyser, which erupts every 5-8 minutes and can reach heights of up to 30 meters. We then take a short drive to the Golden Waterfall, Gullfoss in the Hvítá river. The water source of both the river and the waterfall is melted ice from the Langjökull glacier, located in the highlands of Iceland. Now it is time for a lunch break ! On the way back to Reykjavík we see the Faxi waterfall, look at the greenhouse area in Reykholt, and stop at the Kerið old crater. Our final stop is in the small town of Hveragerði, which is located in the center of a geothermal area. Then we drive back to Reykjavík after seeing one of the greatest natural wonders !